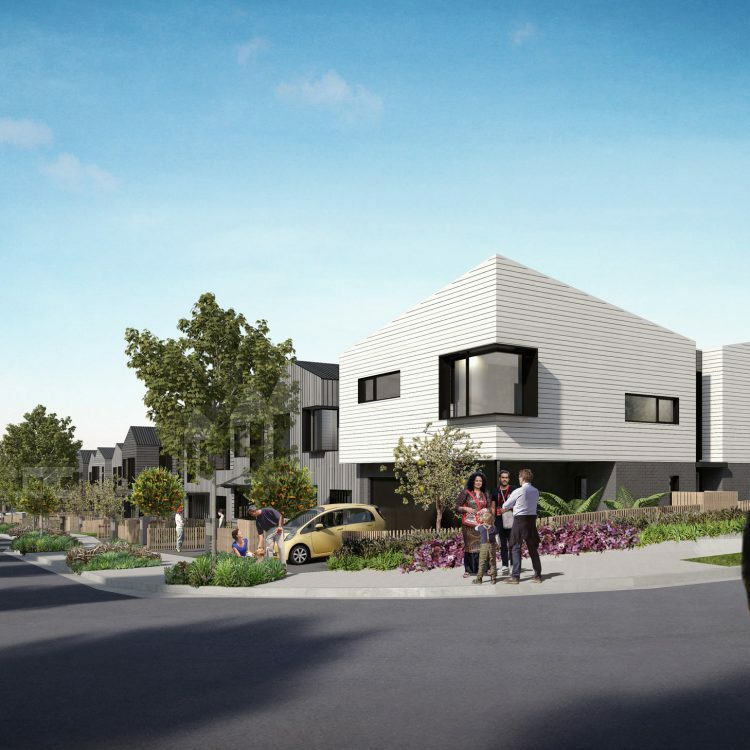 This is the first project for the wider regeneration of the Tamaki area to replace existing social housing, in poor condition, with replacement new social and private housing in a ‘blind tenure’ approach. 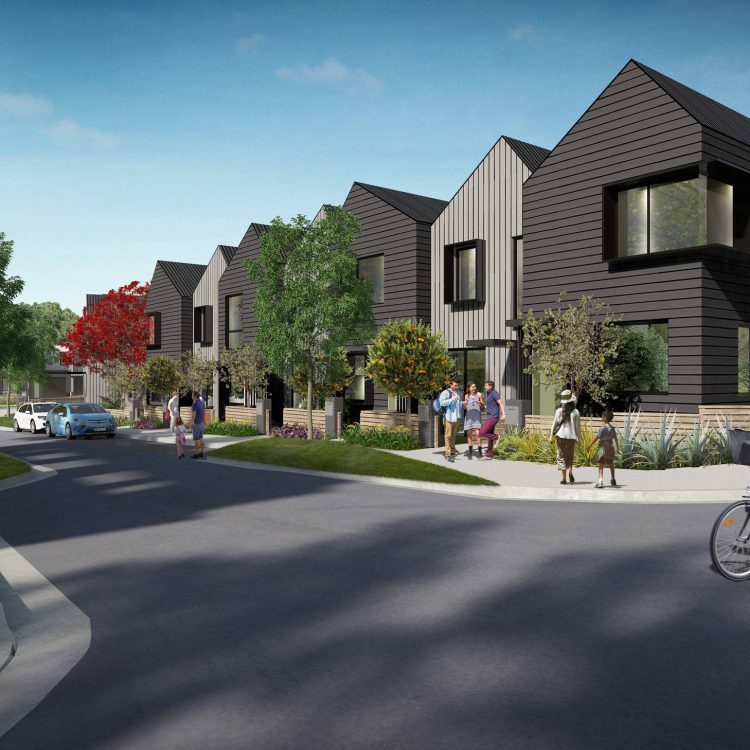 Key moves include the introduction of new streets to create a more permeable and connected public domain, and the subtle realignment of one of these streets to Maungarei, connecting the renewal area to the significant surrounding landscape. 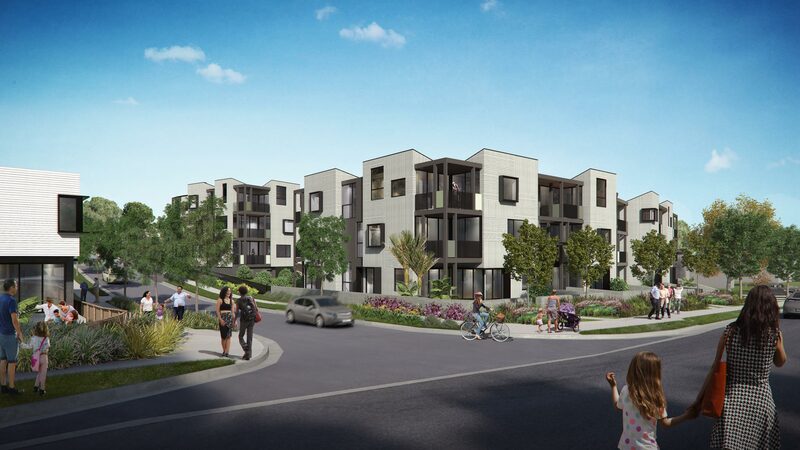 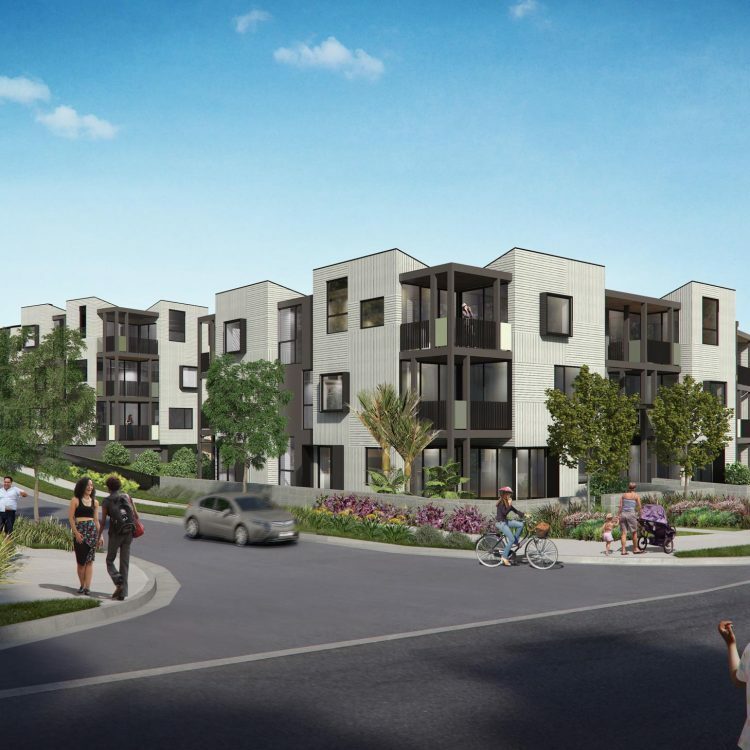 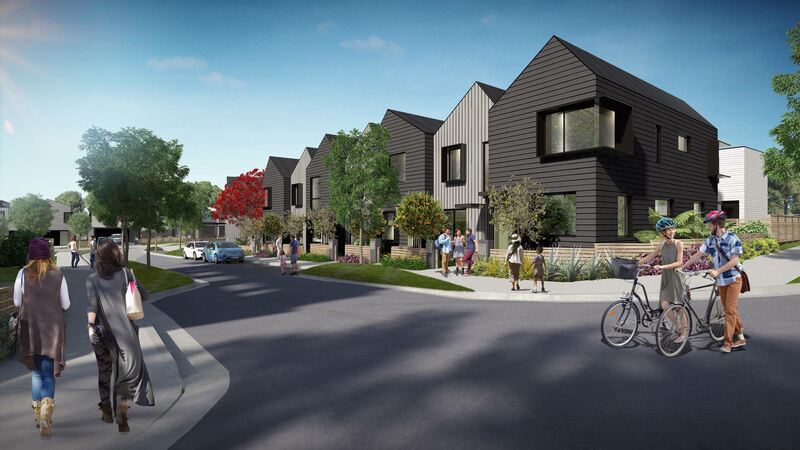 Te Aranga design principles were incorporated into the Master Plan and dwelling designs, which ranged from 1 bedroom apartments to 6 bedroom attached dwellings, including internal layout flexibility, connection to landscape and sustainability considerations. 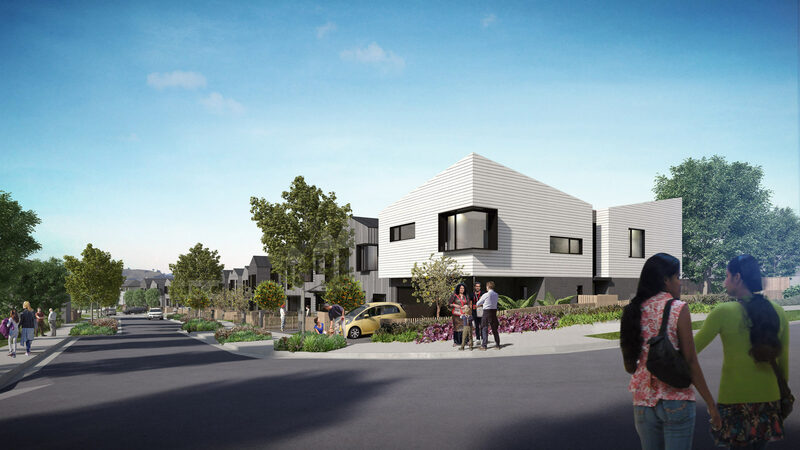 The expression of the new dwellings was influenced by the materiality, forms and proportions of the existing typical housing types, providing familiarity and a sense of place, further enhanced by the re-location and re-purposing of some of the existing buildings.